Your credit score report can be affect by more than your available credit history. We talk about how credit cards, mortgages, car loans, and any type of loan that reports to all 3 credit bureaus will affect your credit score. We don’t always talk about utility companies and how they can have a negative impact on your credit report. Here are utility companies I like to consider non-creditors. In other words these companies don’t give you a line credit, they just provide a service. Let’s assume you are having a tough time currently, and you stop paying your cable bill. 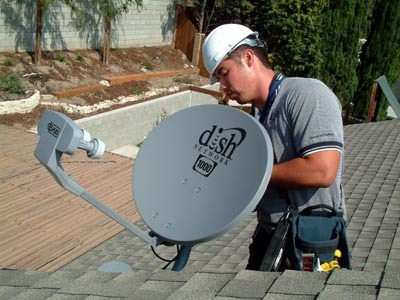 The cable company will give you a little time to pay off the debt for service rendered, but will eventually turn that debt over to a collection company. The collection company in return will report that obligation to the 3 credit bureaus wanting their money — this is how it works with any of the companies mentioned. Once your un-paid utility bill moves to collections and reports to the credit bureaus your FICO Score will have just dropped about 100 points. Utility companies on the other hand don’t help your credit when you are in good standing, but will also hurt your credit score if you don’t pay. Once the collection hits your credit report, and you finally decide to pay off the collection, the collection will be on your credit report for 7 years — 7 years of negative information will be on your credit report. If you don’t pay the collection, the collection company can sell the collection repeatedly to different collection companies which will ultimately drive down your credit score even more. If you get behind, call your creditors immediately and work out a payment arrangement with them. They will typically work with you, especially during tough economic times. A creditor or utility company would rather get some form of payment versus nothing. If you don’t pay your bills including utility bills it will affect your credit score report. With lending getting extremely tough currently, your credit scores are more important than ever. If you have credit issues, the banks may look at your credit history as too big of a risk for there portfolio. Don’t assume if you don’t pay utility it will not affect your credit — because it will affect your credit and will not go away until you pay it off. If you are unsure what is on your credit report, get a copy of your free credit report and free credit score today. Uh-oh. So make sure you pay them on time. Better late than never.